Partnering organizations focus on increasing the capacity of schools to ensure student success. By sharing each organization’s programs, opportunities, resources and information with schools, students will become aware of opportunities to serve as leaders within their communities and experience positive outcomes throughout their lives. This includes shared goals that all students will stay in school and graduate from high school, college and career ready. The partnership contributes to developing strong communities with a productive, civically active and well-educated workforce. 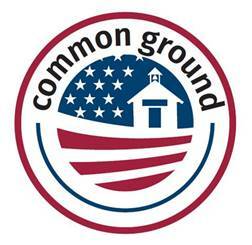 The Common Ground website offers information supportive of schools, students and military families. In 2011, a Memorandum of Understanding established a partnership between the West Virginia Department of Education, the West Virginia Board of Education, and United States Military recruiting organizations which serve West Virginia. In 2013, the partnership expanded to include representatives from the Adolescent Suicide Prevention and Early Intervention (ASPEN) Project, the West Virginia Congress of Parents and Teachers, Inc., and Legal Aid of WV. In 2015, an updated Compact was signed to reestablish the understanding among these partners. On December 7, 2018, an updated Compact is signed to reestablish the understanding among these partners. The Governor’s Office; West Virginia Board of Education; West Virginia Department of Education; the West Virginia National Guard; United States Army Recruiting Battalion Richmond, VA and Columbus, OH; Navy Recruiting District Pittsburgh; United States Marine Corps Recruiting Command Columbus, OH and Fredericksburg, VA; Beckley Military Entrance Processing Station; West Virginia Veterans Council; West Virginia Civil Air Patrol; West Virginia Congress of Parents and Teachers, Inc. (WVPTA); and Prevent Suicide WV.